The Nautic-On display at the Land ’N’ Sea dealer show in Las Vegas. 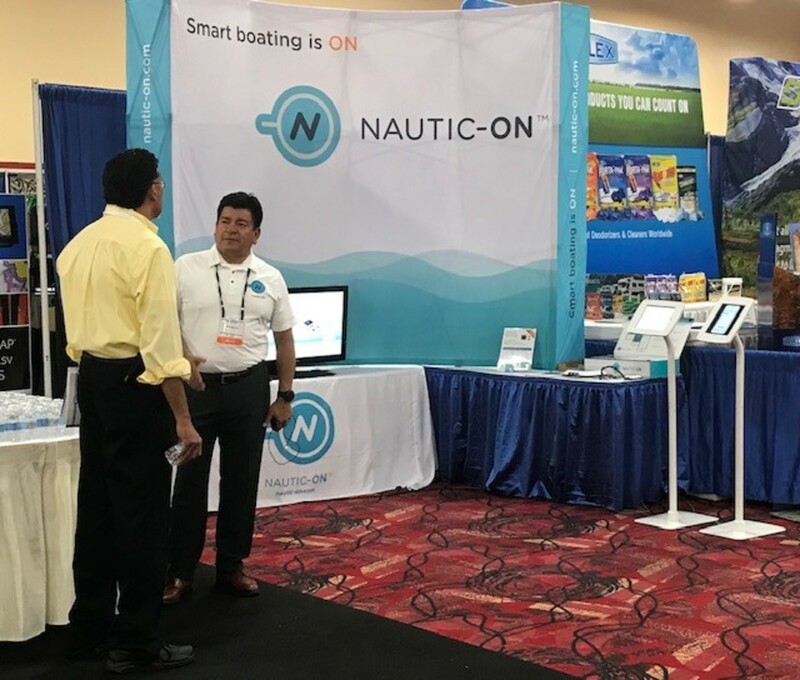 Nautic-On partnered with Land ’N’ Sea to distribute the connectivity system through its dealer network in North America. Land ’N’ Sea is a wholesale supplier for the marine, RV and powersports industries, with 19 distribution centers in the United States and Canada. Land ’N’ Sea shows in Nevada, Minnesota, Ohio and Connecticut will include demonstrations of the system.